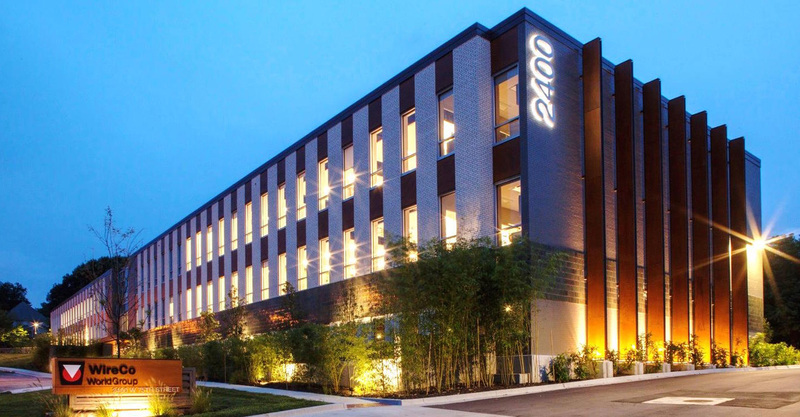 the case with the 2400 W. 75th Street Building in Prairie Village, Kansas. A long-time client and developer asked Jonkman Construction to follow a very compressed schedule for completion. 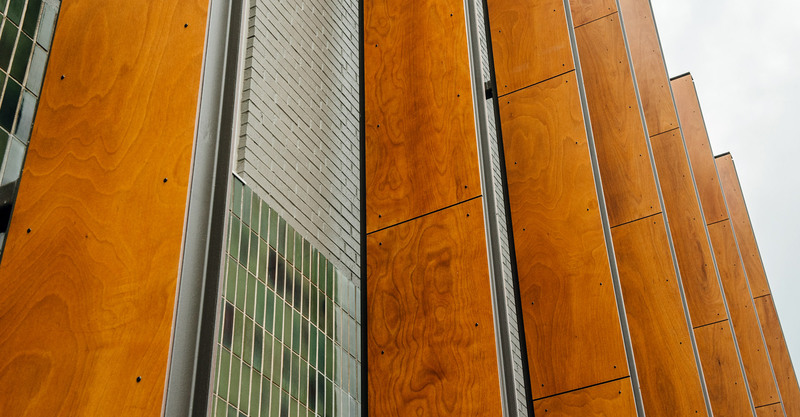 Furthermore, and most importantly, to deliver to them a LEED® Gold certified building. Just as the buildings exterior shell renovation was starting to take shape, WireCo took notice of the work, shifted course and relocated their international headquarters to the building. Their timetable was even more intense than the developer, so Jonkman Construction’s schedule for the building from issuance of permits to completion was achieved in just under 2 months. WireCo produces wire rope for cranes, fish nets, suspension bridges and even parachute cable for NASA. The impressive offerings of the new tenant pushed the Jonkman team and they responded with Prodema rain screens imported from Spain, new exterior sunshades and open ceilings with acoustical clouds on the interior. 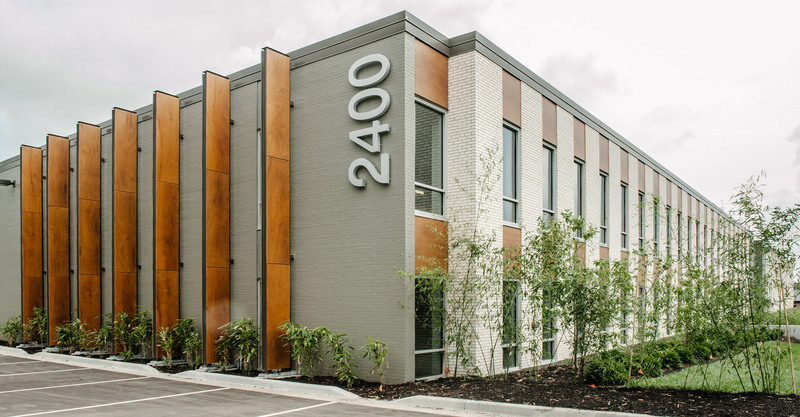 The 2400 W. 75th Street Building achieved LEED® Gold certification by the U.S. Green Building Council in 2016, along with numerous other local awards.